Elevator advertising is an effective, unforgettable way of reaching residents proving maximum impact with a captive audience day in - day out. Our high impact boards can't be turned off or discarded and are read over and over again. Your ad will be the first and last thing tenants and guests will see as they leave and return to their apartment suites daily. Your audience can be reached efficiently by selecting buildings in a specific area. Multiply reach at no extra cost by moving your ads to different buildings each month. Studies have shown that over 500 people pass through a typical hi-rise building each day. During a three month showing in just one building, your message receives almost 70,000 impressions. Only elevator advertising gives you this level of frequency, this level of continuous exposure to a totally captive audience. Only elevator advertising gives you such high impact advertising. An independent survey concluded: "Coors Light enjoys a disproportionately high total franchise among beer drinkers that live in apartments that have Coors Light advertising . . . it therefore appears that the elevator advertising has a positive impact on the brand's franchise." A controlled market test in a variety of different types of buildings over a six week period showed an increase in pizza sales ranging from 2 per cent in a seniors' building to 24% in a downtown building filled with younger people. Advertising for Wisk laundry detergent doubled the number of people who, in an independent market survey, said they had tried Wisk in the last twelve months. Elevator advertising reduces the cost of elevator maintenance. Ads engage passengers, relieve boredom and provide something to focus on, reducing destructive behaviour. For those intent on vandalism, the showcase itself becomes the target, instead of the elevator. You may receive a fee based on the size and quality of your building. Payments are made automatically on a convenient schedule. The attractive showcases dress up the elevator interior. Pre-existing wall marks and scratches may be covered by the showcase. 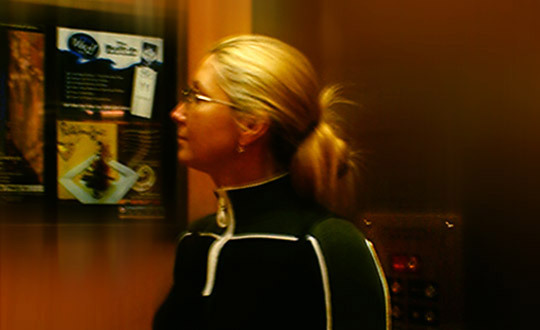 Local advertisers use elevator advertising as an alternative to direct mail. Less junk mail means less paper scattered throughout the property. Tenants like elevator advertising. They perceive it as a helpful service. Elevator advertising relieves the monotony of a long elevator ride, and reduces the tension of riding with strangers. The advertising introduces tenants to local services. New tenants especially find this to be of value. © 2006 Hi-Rise Communications Ltd.